AUGUSTA, Maine — Gov. Paul LePage has submitted another late-session bill designed to further crack down on the misuse of public benefits in Maine. LD 1888 would add eight new fraud investigator positions to the Department of Health and Human Services’ Office of Family Independence. It also would make the the unauthorized transfer or possession of electronic benefit transfer, or EBT, cards a Class D crime and would prohibit the use of EBT cards at liquor stores, gambling facilities and adult entertainment businesses. EBT cards are used by recipients of Supplemental Nutrition Assistance Program, or SNAP, assistance, also known as food stamps, but the bill addresses other welfare programs, such as Temporary Assistance for Needy Families, or TANF. Asked why the proposal was not included in the governor’s recent supplemental budget or a plan to restructure the Department of Health and Human Services, LePage’s spokeswoman Adrienne Bennett said LD 1888 was a policy bill rather than a budget bill. However, the governor’s $37 million supplemental budget that faces public hearings this week contains a number of nonbudget-related policy initiatives. Either way, LD 1888 would have to go to the Appropriations Committee because it would increase the DHHS budget by about $675,000 for the 2012-13 fiscal year. Members of the Legislature’s Health and Human Services Committee are expected to hold a public hearing on the bill Wednesday. Since he was elected, Gov. LePage has talked often about how Maine’s welfare system had encouraged dependency and complacency. Last summer, the governor created a Fraud and Abuse Prevention Team to help identify ways to combat the problem of welfare abuse. The nine-member team, made up of members of the Department of Health and Human Services and the Office of the Attorney General, was given two charges: To identify fraud before it happens and to make sure all cases of potentially illegal activity are properly investigated. Herb Downs, who has chaired that team, said Monday that the number of fraud and abuse referrals has doubled over the past year, from 1,200 to about 2,400. LD 1888, he said, grew out of discussion by that task force. Critics, such as Sara Gagne-Holmes of Maine Equal Justice Partners, see the bill as the latest attempt by an administration that seems intent on singling out poor people. “Each obstacle you put in someone’s way and each time you stigmatize, the program hurts people,” she said. John Martins, spokesman for DHHS, said the goal is not to stigmatize those who are receiving public assistance but to better educate them and to deter those who seek to abuse the system. He said increased awareness and media coverage of high-profile fraud cases has contributed to the surge in referrals and the need for more investigators. Martins did not have the number of cases that have resulted in convictions. But Gagne-Holmes said the high number means nothing. “It means there are a lot of people who are economically insecure who don’t want to see people frauding the system,” she said. Gagne-Holmes said another piece of the bill bothers her as well. Currently, recipients of TANF or food stamps can be held liable if they receive overpayment of benefits. The governor’s bill would apply that liability to MaineCare. “How do you pay it back? It’s health care,” Gagne-Holmes said. Gov. 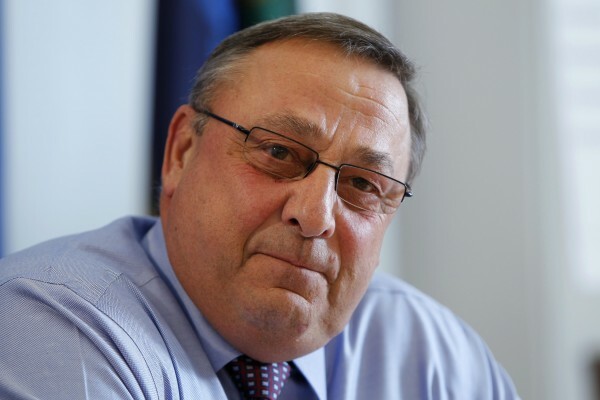 LePage has been a vocal critic of many public assistance programs and has pushed policy proposals to tighten what he sees as an overly generous system. So far, he has capped limits on TANF, reduced eligibility for MaineCare and tried twice to cut the state’s share of general assistance to communities. Last November, the governor also indicated he would submit legislation that would require welfare recipients to submit to random drug testing. On Monday, though, Bennett said it was not likely that bill would come up until next year. Others states have passed laws instituting drug testing for welfare recipients but there have been questions about the constitutionality of such laws.